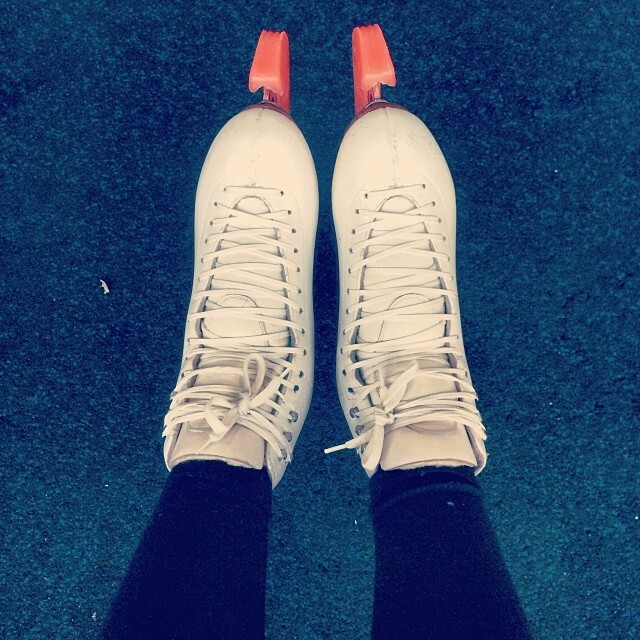 February 2014: I went skating for the first time in…. 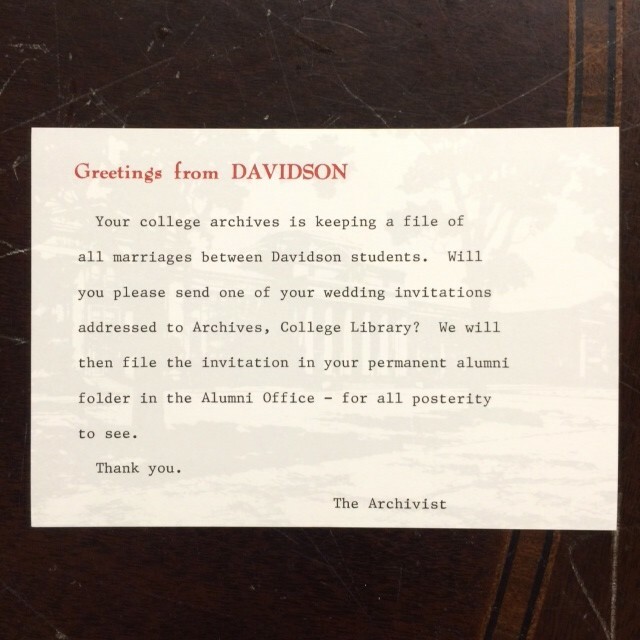 4 years? 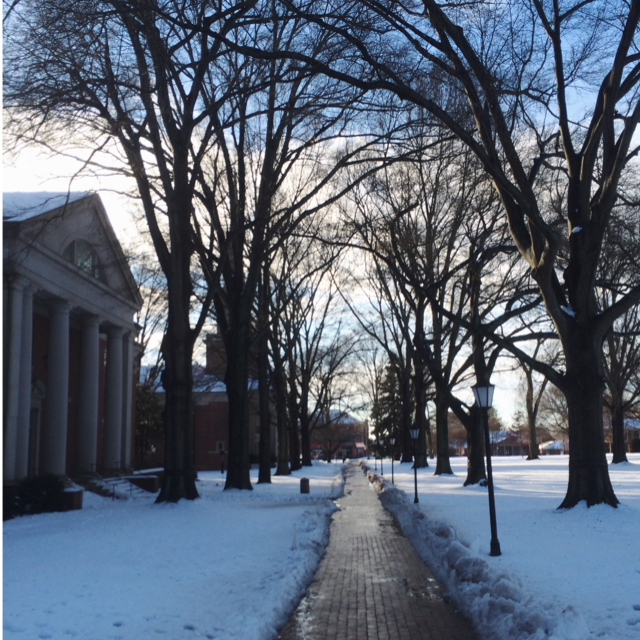 Turns out I can still land a few double jumps, but it was hard. 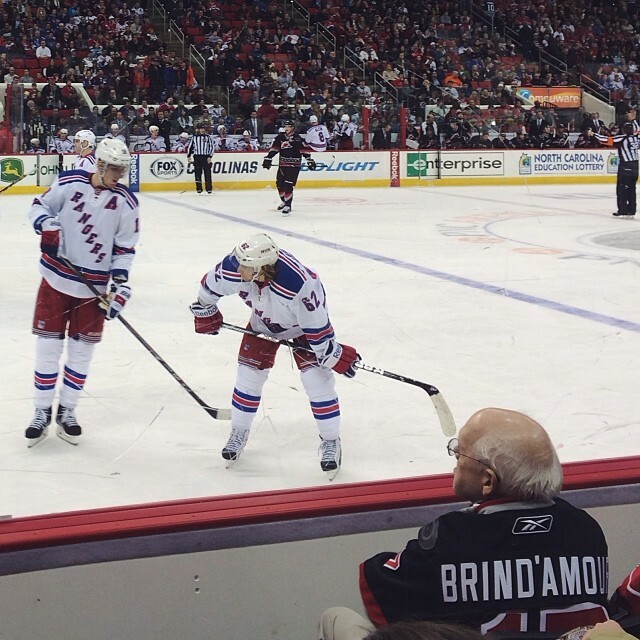 March 2014: NY Rangers at Carolina Hurricanes, my first NHL game (crazy, considering my first job ever was at a rink, but there you go). 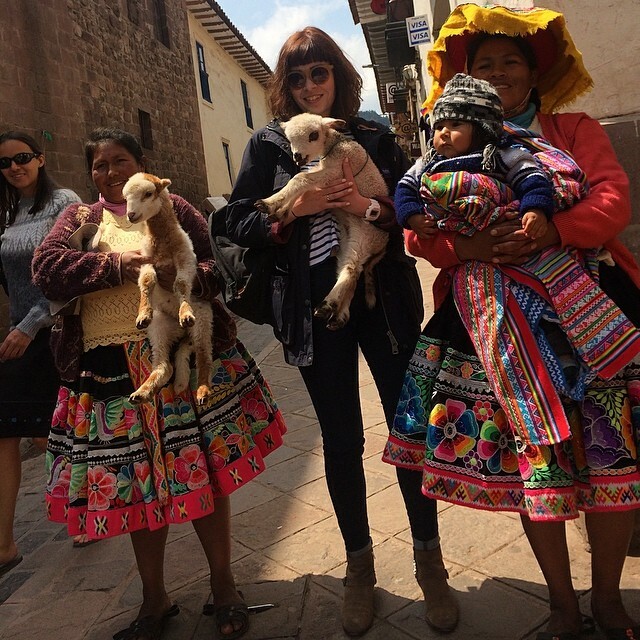 April 2014: I went to South America for the first time, climbed a mountain for the first time, presented at an international conference for the first time, and posed for a tourist picture with a llama for the first time (also a hard month to pick a single picture from – while in Peru, I spent about a week traipsing between Cusco, Pisac, Ollantaytambo, Aguas Calientes, and Machu Picchu before going to Lima for HASTAC 2014). 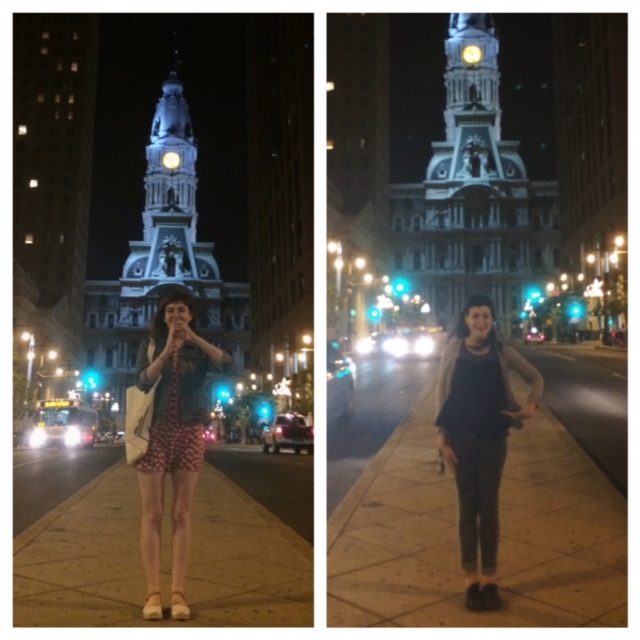 May 2014: I visited my college roommate/ BFF Sarah in Philadelphia, and we made “P” symbols in front of City Hall, because Philly Pride. 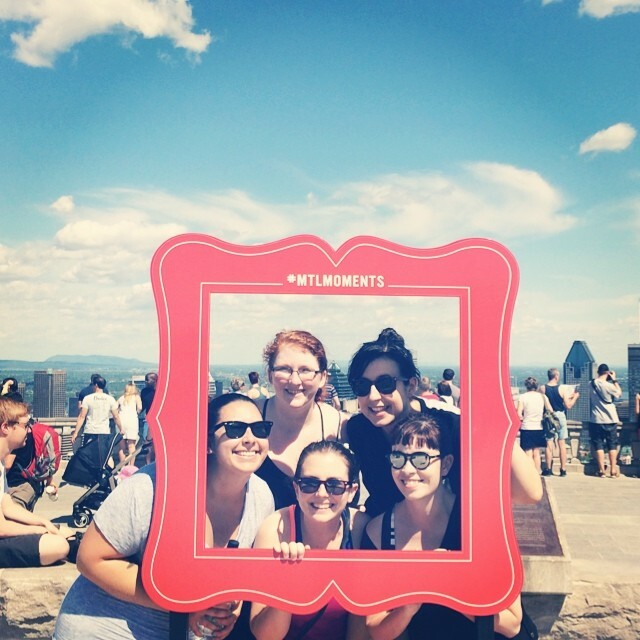 June 2014: Lots of great things happened in June (including hiking in western NC and going to an amazing conference in Charleston), but my long-awaited reunion with my grad school/ Boston besties in Montreal took the cake (or bagel, as the case may be). July 2014: The hardest month to pick a single picture from – I went to DH 2014 in Lausanne, and while in Europe, also went to Milan, Pisa, Cinque Terre, the Bernese Oberland Alps, Rome, and Venice. 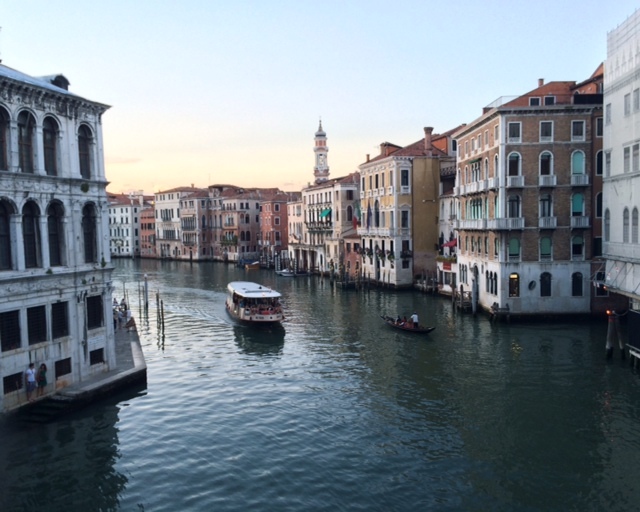 This is one of the prettiest sights from my several weeks-long Eurotrip – a vaporetto and a gondola on the Grand Canal around sunset in Venice, as seen from the Rialto Bridge. 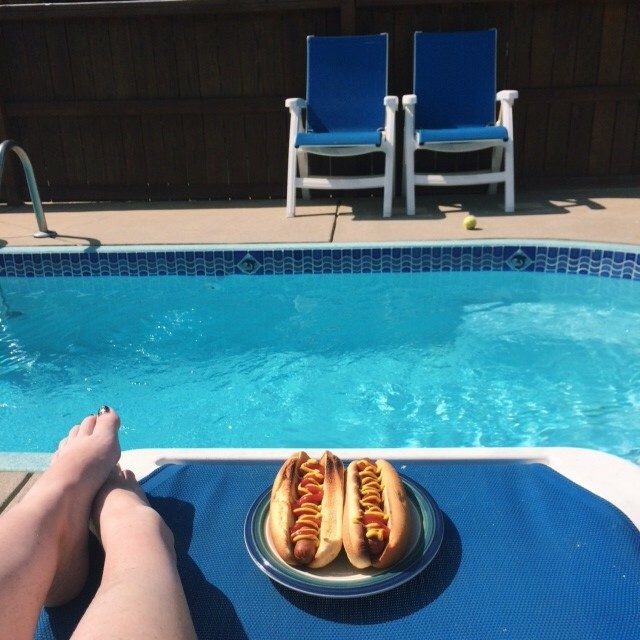 August 2014: My first trip to the Outer Banks/ the epitome of summer (I also ate a lot of Carolina BBQ in August, and went to DC for SAA’s annual meeting, where I got to be the DC Punk Archive‘s first ever visitor and attend two Nationals games, so it was a pretty great month). 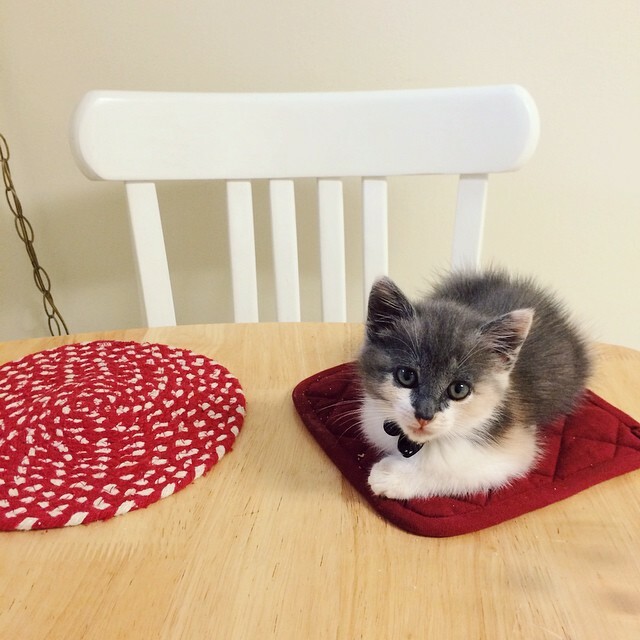 October 2014: The month I adopted my adorable baby cat, Purrtrude Stein. 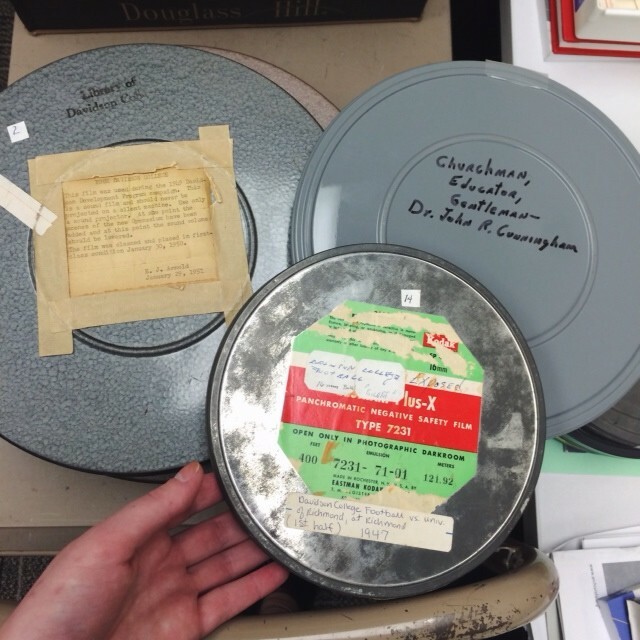 November 2014: Piedmont Triad Home Movie Day provided the opportunity for me to play around with Davidson’s archival films, and actually screen a few of them. 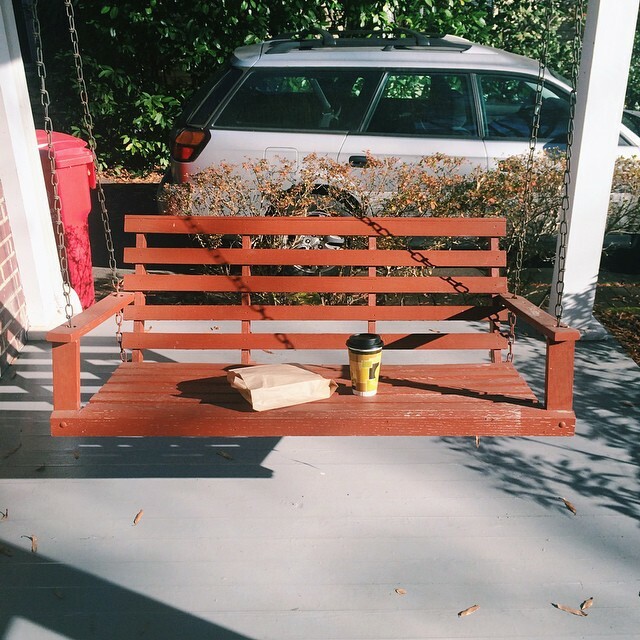 December 2014: Sometimes in small town North Carolina, your friends leave you coffee and a pecan roll on your porch swing, because they know you’ll want it when you wake up.